E-40 isn’t just one of the most active OG’s in the game. He’s actually one of the hottest rappers out. 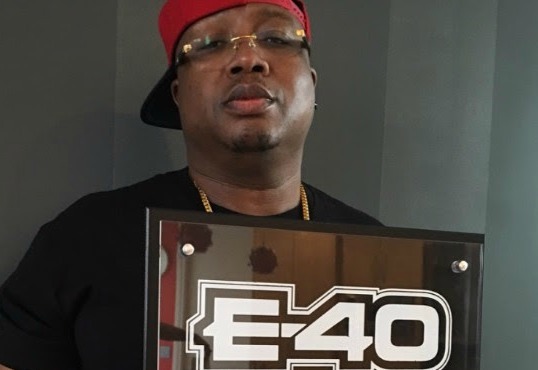 Around this time last year, the song was repackaged as a Golden State Warriors remix, as his Bay Area squad was in the midst of winning their first ever NBA championship, which in turn, hipped a lot of new and familiar fans to the fact that E-40 was still going all out in the studio. “Man I was looking at the numbers and I’m like ‘I think I’m close to gold!’ 40 tells HipHopDX via phone call on the latest RIAA certification. 40 considers himself an “older” rapper opposed to an old rapper, one who isn’t in denial about his age. It’s such a mentality that has kept him head above water in such a fickle and competitive industry. Released in 2006 as the lead single for his ninth studio album, My Ghetto Report Card, “Tell Me When to Go” solidified the moment when crunk got down on one knee and proposed to hyphy, resulting in a shotgun wedding that had the entire world celebrating. Ten years later, 40 Watta is collecting checks off the song once again thanks to a Beats commercial starring his Golden State Warriors’ enforcer Draymond Green. E-40 credits Oakland Apple employee Angela Barber with recognizing the significance the song can bring in rousing fans up during the intense NBA Playoffs. With the Warriors facing nearly impossible odds, being down 3-1 against the Oklahoma City Thunder in the Western Conference Finals, the commercial may lose its sting come later this evening but of course, Earl Stevens is more than optimistic of the defending champs’ chances of making a comeback.